Finally, you can own The Enemy of the World on DVD, complete with a host of special features! We thought The Underwater Menace was the final release in the Classic Doctor Who DVD range; then we thought The Power of the Daleks animation was its last hurrah; then Shada surprised us. And now, the DVD range has proved its ongoing longevity with this Special Edition release of this Second Doctor serial. 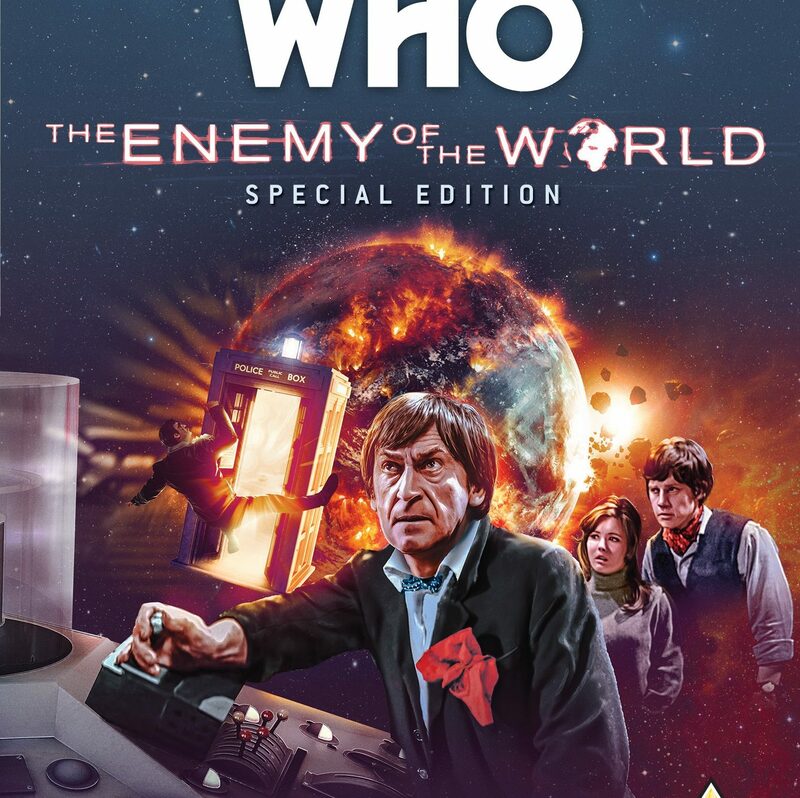 Found by Philip Morris, The Enemy of the World was released on DVD in 2013, Doctor Who‘s 50th anniversary year, alongside The Web of Fear; alas, it was bereft of the additional interviews, documentaries, and commentaries we’ve come to expect from the range. Fortunately, BBC Worldwide is here to grant our wishes, because the latest edition includes some superb bonus content, including a tribute to Deborah Watling, who played Victoria Waterfield in the story. Recovered and restored – a classic Patrick Troughton adventure! Remastered episodes. Even though all episodes were restored in 2013 for the previous DVD release, Peter Crocker from the Restoration Team is using advances in technology since then to go over each one with a fine tooth comb to ensure they are now presented in the best possible quality for this special edition. “Treasures Lost and Found” – produced by Ed Stradling. 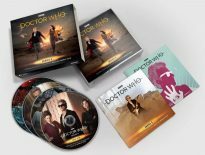 With so much information now available about every Doctor Who serial, it’s not easy to learn anything new, so Toby Hadoke embarks on an exciting treasure hunt to find out all he can about the production. Along the way he’ll interview some of the cast and crew including Frazer Hines, Mary Peach, and David Troughton – who made his first TV appearance in this serial as an extra. “Recovering the Past – The Search for The Enemy of the World” – produced by Paul Vanezis. A brand new interview with the episode hunter, Philip Morris, we hear how he tracked down the last surviving film copy of the serial to a dusty room in the African desert. “Remembering Deborah Watling” – produced by Cameron McEwan. Family, friends, and colleagues pay tribute to Debbie Watling who played Victoria Waterfield, companion to Patrick Troughton’s Doctor. Audio commentaries on all six episodes produced by John Kelly. Contributors include Frazer Hines, Mary Peach, Gordon Faith, Milton Johns, and Sylvia James. Moderator is Simon Harries. Production subtitles on all six episodes written by Martin Wiggins. Photo gallery produced by Derek Handley. Scripts of all six episodes as PDFs. If you’re unsure whether the bonus material is worth the extra cash, make sure you watch this clip from Recovering the Past – The Search for The Enemy of the World. The Enemy of the World: Special Edition is out now.